The continuing adventures of a fulltime RVer. Now that I'm back in the West, it's time to get back to boondocking. I was asked quite a while ago for some pointers, but I'm sorry to say I was too busy "summer touring" to think about it until now. So here are some of my favorite sources. The DeLorme maps show the various public ownerships of land, most of which are camp-able. BLM lands, in yellow/orange, are almost always okay. As are forest lands, outlined in green, although sometimes there are restrictions (too close to one of their campgrounds, too close to a city, etc.) But if you don't see a "no camping" sign, go for it! State lands are shown in purple. I don't know the rules for most of the states, but Utah allows free camping, and Arizona has a permit that allows you 14 nights camping. 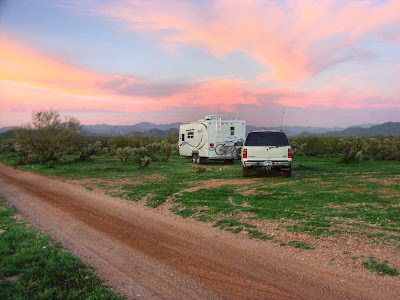 The Escapees RV Club has a list of free camping spots called Days End. I use it often. It can be downloaded for $5. 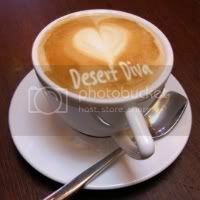 DiscoveryOwners.com has many, many lists that can be downloaded and put into Streets and Trips and other programs. Among the many databases they have are: Walmarts, no parking Walmarts, Sams, casinos, dump stations, Flying J's, rest areas, state parks, RV-Unfriendly towns, etc. The list just goes on and on. And speaking of Walmart, their own version of the Rand McNally atlas lists all their stores, and costs only $6. Many of the Elks, Moose, and Eagle lodges offer free or inexpensive RV parking to their members. They also provide instant friends wherever you are. Do you have any favorite sources? Please add them in a comment. Great sources of info!! Thanks!! What a great list! Including some I wasn't aware of. I like the book Don Wright's Guide to Free Campgrounds. I don't think that's the same as your FreeCampgrounds.com. Thanks for the great info. Love your hike to Rocky Mtn Natl Park. I can't believe there's a website called rvdumps.com. Day's End download is now $10.00. i am so happy that I found your blog. Ever since my first trip to the desert, I've been drawn back to it, again and again. On my last visit I met some transient people whose lifestyle captivated me. My daughter has two more years of college. That gives me two years to get my affairs in order, no? Hi Diana, I'm writing an article for RVT.com and I'm going to include a link to this post. Thanks! Hope all is well. We're in Petaluma, CA right now. John is working on a building project here. I've bookmarked your blog for future reads....also all of the helpful links you posted. Hope I get to use some of them. thanks for all the help and enjoy yourself on the road. How Much Did I Spend in 2009? copyright Diana Tolerico. Watermark theme. Powered by Blogger.